You know how your friends and family always promise to send you photographs from gatherings, but inevitably they either forget or lose their memory card or simply forget how to work their camera? You end up never getting to enjoy that picture of you with your hot date or having the chance to laugh at the group photo of your drunken buddies. Designer Jung Eun Park wants to create a picture-perfect way to share images with the people you care about enough to put them in your photographs. 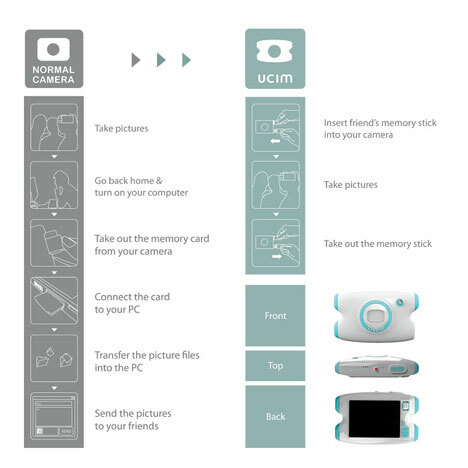 The UCIM Camera concept features slots for three USB memory sticks that can simultaneously store the pictures you take. So when you want to take a group shot of you and your two closest friends, you just insert all three memory sticks, and after the picture is taken simply hand them back to their respective owners. Everyone gets exactly the same picture and no one has to wait. 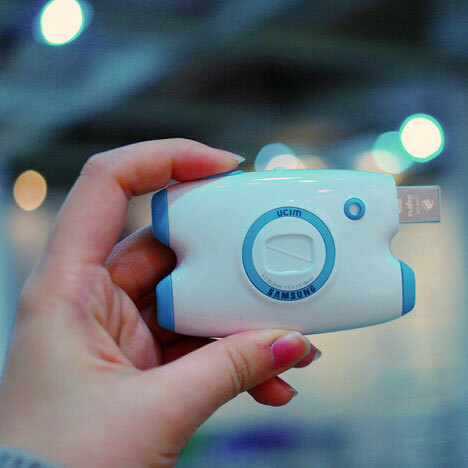 The concept is definitely novel, and it would be a huge plus for people who just can’t get the hang of uploading and sharing digital photos. 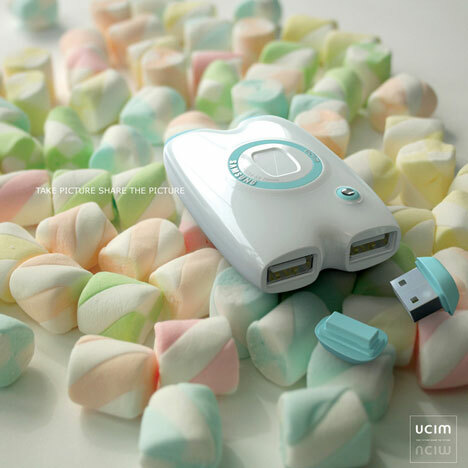 For the more tech-savvy, of course, it would be slightly less useful – which is why it’s a good thing the UCIM Camera is so adorable. See more in Camera & Video or under Gadgets. December, 2010.